Every AO location offers various categories in different price segments. Almost all AO locations have private parking spots or an underground parking lot. Please have a look at the individual location descriptions. The parking spots cost from 5,00 € per day. 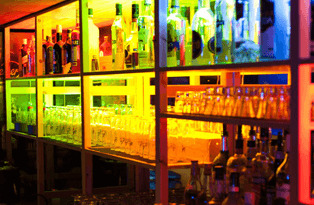 Each AO Hostel offers you the opportunity to enjoy your evening in a fun and friendly setting at the bar with a cocktail or beer. 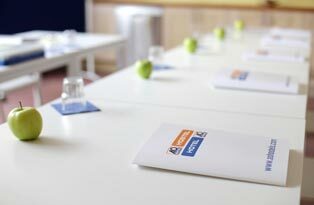 All of our locations that are suitable for group trips have an AO Lounge that invites guests to relax or to use for quiet work. 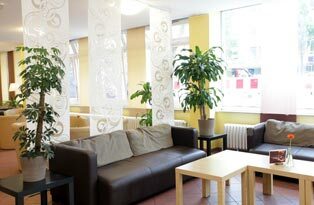 The AO Lounge is equipped with a computer, printer, telephone and fax (local calls are free), free Internet access, a kettle, as well as a comfortable place to sit and is free to all group leaders. The AO München Hauptbahnhof, AO Köln Dom und AO Hamburg Hammer Kirche locations do not have an AO Lounge. Almost every AO Hostel has common rooms with integrated game modules such as billiards, table football or a TV room with comfortable seating that invite guests to relax and have fun.